Have we reached Peak Cute on Muni, or what? 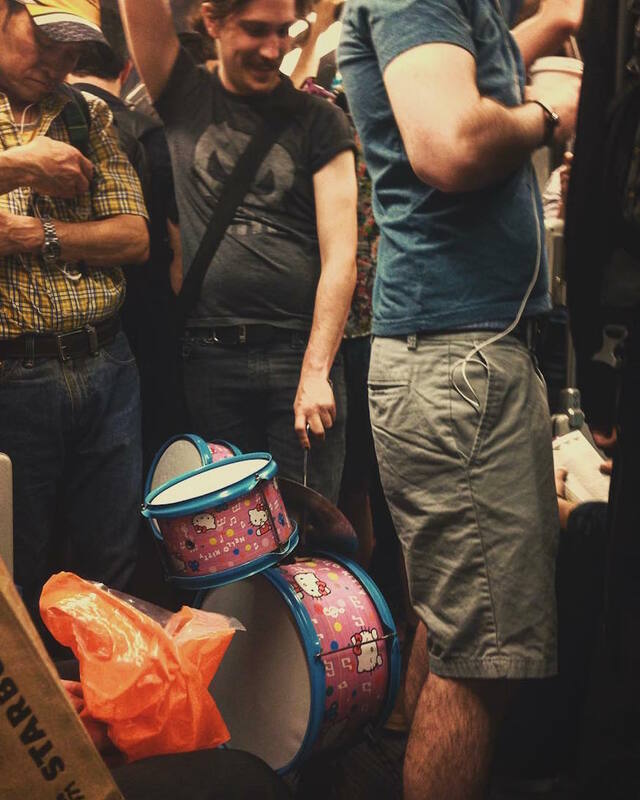 This fella got himself (has to be for him) a Hello Kitty drum kit, said “screw it,” got on a crowded M-Ocean View at night, and proceeded to rule the universe. 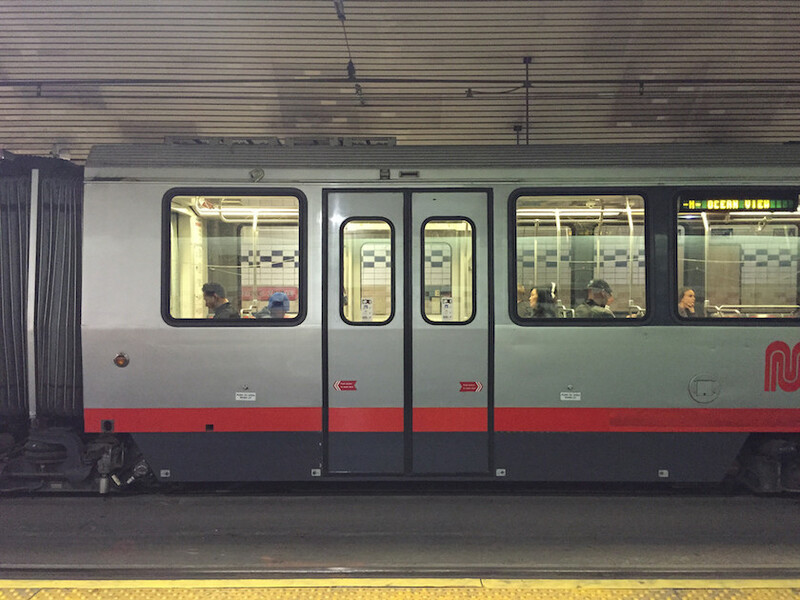 Did your defining San Francisco experience happen on Muni? If you’re a transplant, do you remember what defined your San Francisco experience? Muni rider Jesse James moved to San Francisco from smalltown Thousand Oaks to attend SF State, sight unseen. And the Powell Street Muni Station and the M-Ocean View line were the settings of his defining urban moment. Mayor Ed Lee, who is trying to raise $1 million in campaign cash to push his $500 million transportation bond over the finish line in the Nov. 4 election, got a firsthand taste of Muni’s problems on Tuesday morning. 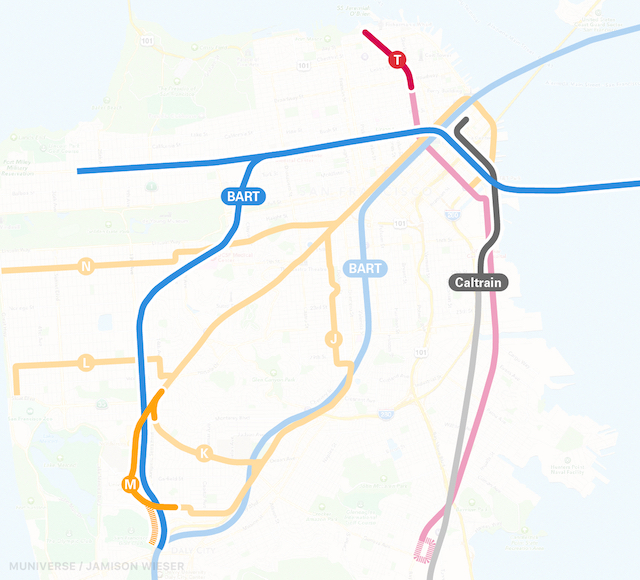 Lee, who lives in Glen Park, took the M-Ocean View train downtown before a meeting with The Chronicle’s editorial board, and no, he didn’t get a seat. Well, at least this time the mayor won’t get a ticket by parking in the Muni zone! Unfortunately riders didn’t snap a photo of him (unless you did, in which case, send it our way!). 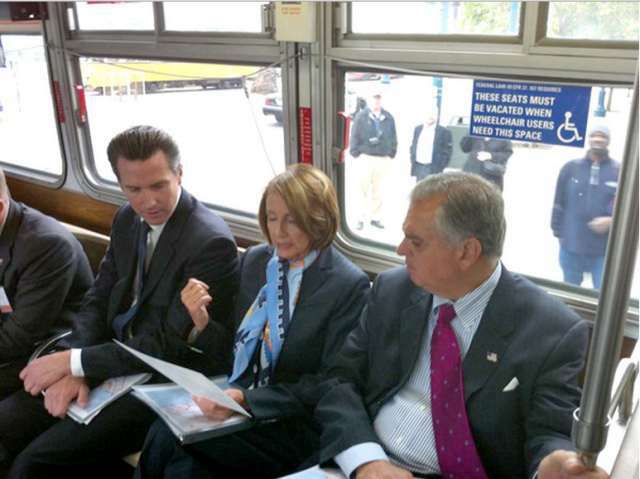 We never saw former Mayor Gavin Newsom on the bus ourselves, but SF Citizen snapped a photo of him on Muni, sitting in the elderly/handicapped seating (insert joke here). No bigs, you guys. 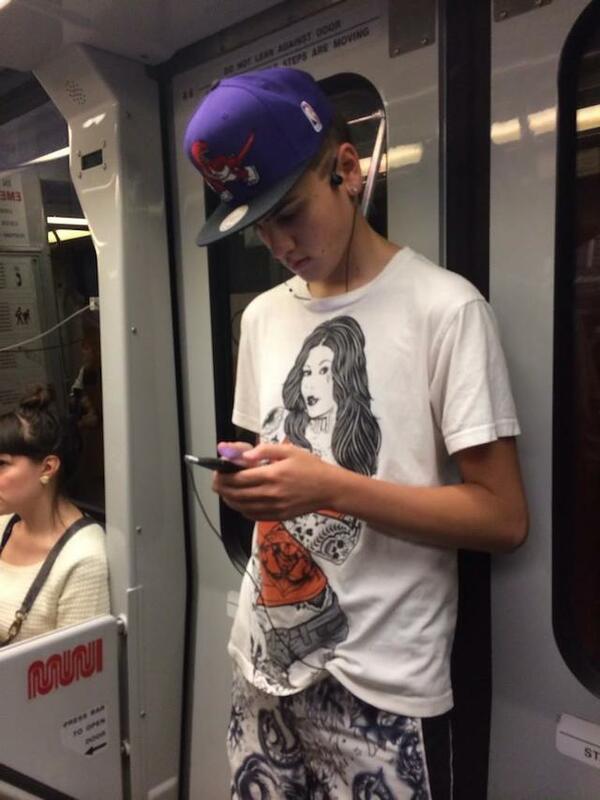 Just the Biebs playing Candy Crush on a Muni Metro train.